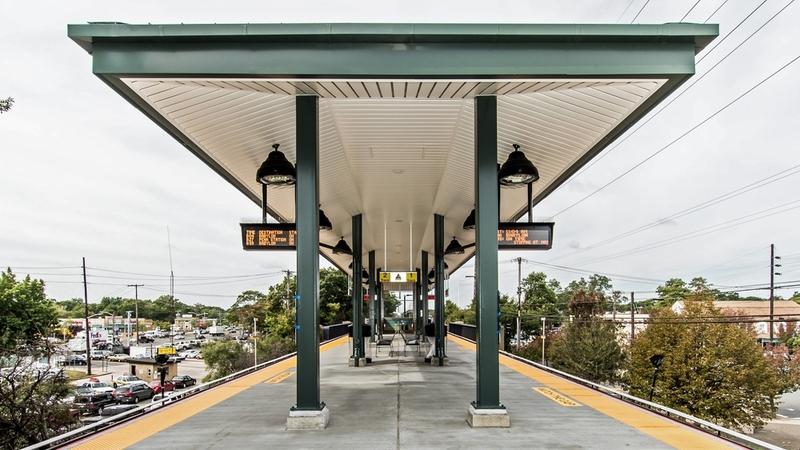 This project was a complete renovation of the Massapequa train station passenger platform on one of the busiest lines of the Long Island Rail Road. The scope called for the complete removal of 1,000 feet of cast-in-place concrete platform constructed in the 1940's. 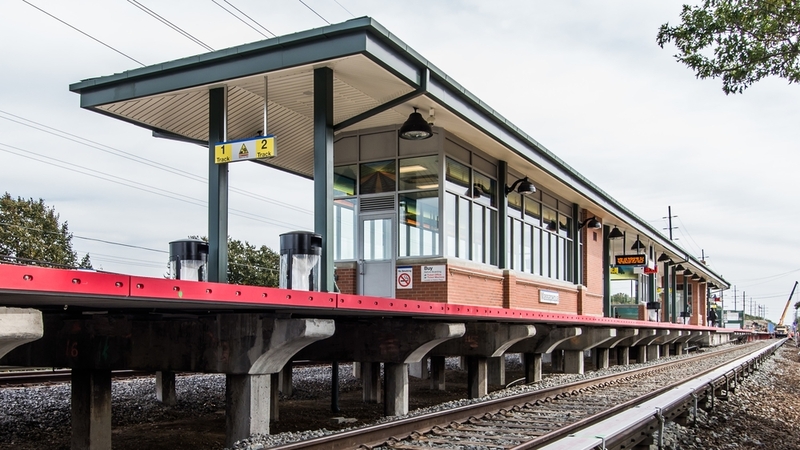 The reconstruction process included structural repairs to the understructure, providing vibration isolation and then the installation of solid precast concrete platform slabs. 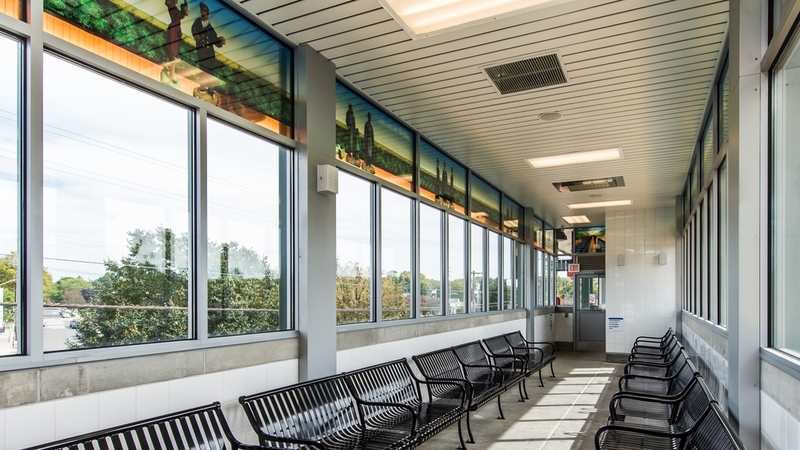 Additionally, passenger amenities including a new escalator and elevator, structural steel canopies, a fully enclosed waiting room and a pedestrian overpass over Broadway were constructed without any interruption to train service.